Plans are always shifting in the beginning stages of a business. Logistically it makes a lot more sense for us to produce only organic GMO-free chickens. Although we would like to be able to offer a lower priced "regular grain fed" pastured chicken for those who would like to enjoy farm fresh chicken at a lower price, we have decided to hold off on offering that option. As you can imagine, the logistics of keeping chicks separated in the brooder and managing different sets of feed on the farm, while juggling all of our other start up issues will probably be a little too stressful. Another reason for this decision is that we will be ordering the organic feed in bulk, and we need enough organic chickens to eat the feed quickly so that it will always be fresh. We are targeting 200 chickens a month for our first few months and hope to double that production by the end of the year. So after sitting down and looking at the numbers, we really need to be feeding all of those 200 chickens organically to use the feed in a timely manner. When we get our production numbers up, we will be able to look again at offering a lower priced option. 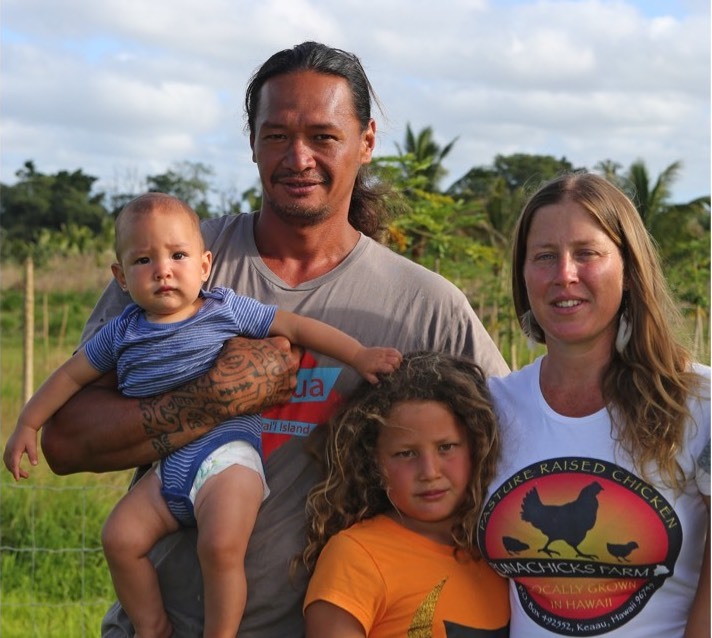 For now we will concentrate on producing the most awesome tasting organic GMO-free chickens available on the Big Island.